Woodworking machines are highly popular and widely used equipments. They are basically utilized for performing various processes on wood, such as cutting, carving, drilling, finishing, grinding, joining, molding, sawing, sanding, shaping, etc. It help to avoid manual labor and the conventional wood working system. It also enables you to do several woodworking jobs quickly and easily. Besides this a number of industries require these equipments. 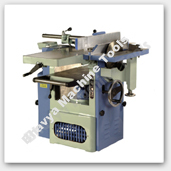 Hence a wide range of woodworking equipments are now manufactured throughout the world. Further it is better to opt for superior quality units as they are highly accurate, more effective, as well as long lasting; and deliver better results. All woodworking equipments include a motor for reducing the work of the operator and increasing the production. These machines also make less noise and vibrate less compared to the manual wood operations and traditional tools. Moreover they help to create a product with a relatively smoother surface. It is one of the commonly used woodworking machines. This is basically a cutting tool that includes a long metallic band with a sharp blade on one side, in order to cut the work piece. This band usually rides on a set of two wheels that revolve in the same plane, for accurately cutting various objects into straight, irregular and curved shapes. Band saws are highly useful tools especially in the timber industry. Another type of woodworking device is the drilling machine. It is a versatile tool which is utilized for making round holes in a work piece. They may be either fastened on the floor or mounted on a stand. It is electrically powered and comprises of a drilling head, radial arm, as well as a gearing mechanism. It also provide a safe and easy way to drill holes, on a variety of surfaces and different materials. The adjustable circular saw is an essential woodworking tool which is used to cut work pieces of various depths. It primarily consists of a working table that is adjustable as well as tilting. 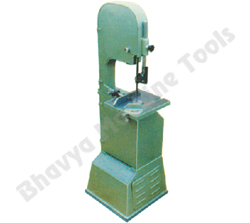 This equipment is highly effective and used for precisely cutting a work piece. It is driven by an electric motor and includes a motor pulley and motor plate. These are used to process wood and produce different objects that are useful in residential, commercial, and industrial units. Today a broad variety of tools are available in the market. The various applications of woodworking machines include producing and repairing wooden furniture for homes, offices, and factories. Besides this they are also used to create several types of wooden products in different shapes and sizes. It can be used for drilling holes, cutting wooden sheets, shaping wooden pieces, finishing wooden objects, etc. These devices have a wide range of applications in several industrial segments such as automobile, construction, engineering, electrical, metal, as well as in many other heavy industries. Hence there is a rising demand for various types of machineries across the world. This entry was posted in Bandsaw Machine, Drilling Machine, Machine Tools, Woodworking Machines, Workshop Machinery by Yash Shah. Bookmark the permalink.